I've been wanting to do a home tour for quite some time, but I don't have all the rooms photographed. Not knowing when that will happen, I decided to do it now, and add photos as I take them. So, here is a partial post on our home. This is the exterior as you drive in. Patricia from PVE design did a wonderful drawing for us. I will be updating this frequently with more photos. 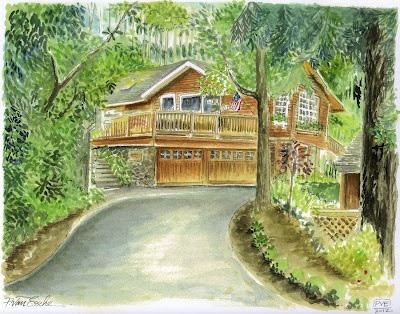 Your home is beautiful inside and out! 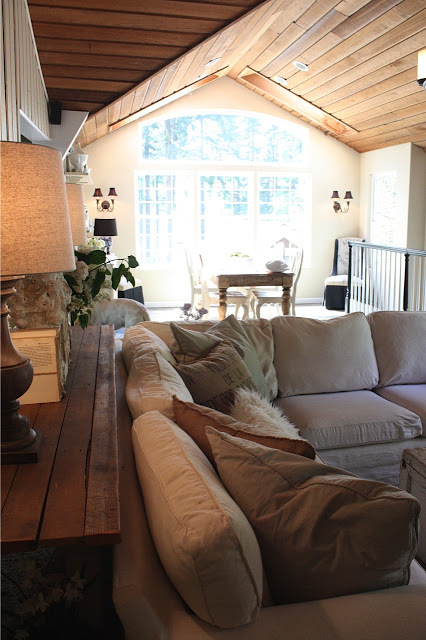 I love the blend of rustic with femininity. I'm looking forward to seeing more! Love your home. Cant wait to see more. Have a great weekend. Magazine worthy for sure! So cozy! Very very pretty. 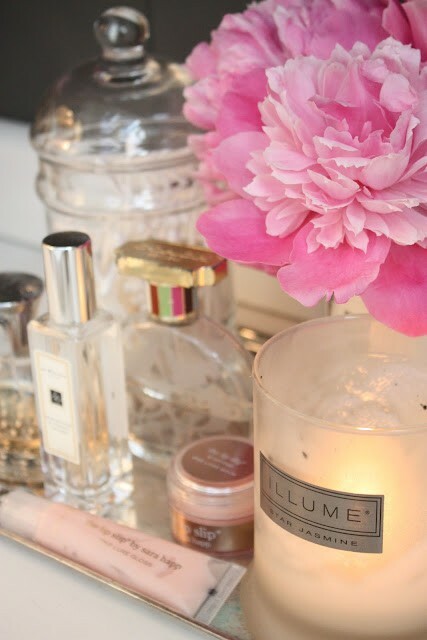 I love that you have feminine frenchy touches with industrial mixed in. Sigh. I just love your style. thanks for taking us for a tour of your beautiful home. It is so warm and inviting! I love your home! Thank you for sharing. melaine, our tastes are so similar!!!dang! your daughter's room though...shazam. nothing like that here. 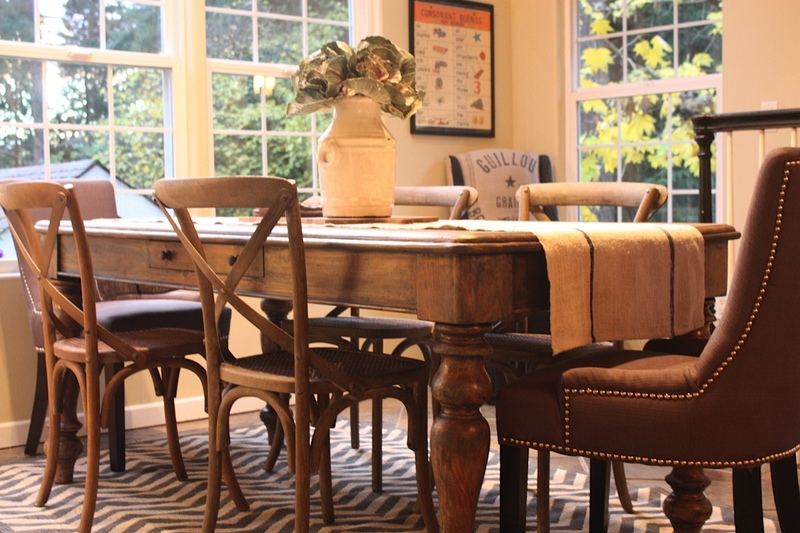 i even have those paris burlap pillows. pop over for a taste of paris glam from our recent visit if you have a moment. Stunning! Can't wait for more!!! Your house is beautiful. Where did you get the decal for your chalkboard wall? Beautiful view out of your kitchen window! Looking forward to seeing the rest! Love it! Can't wait to see more!!! 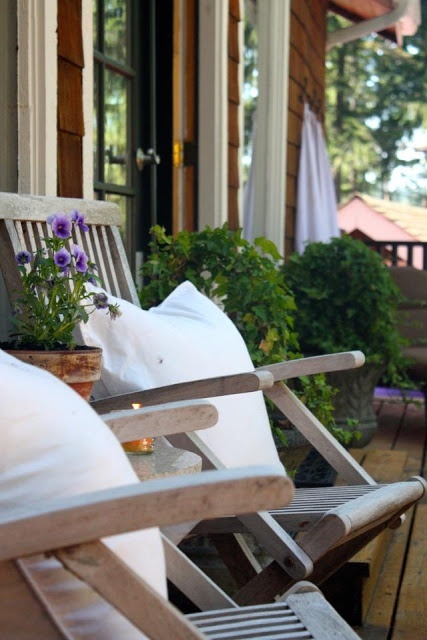 thank you for sharing your gorgeous home...i've loved seeing it since RMS days! can you share the color of your son's bedroom walls? i'm doing my husband's bathroom in a charcoal gray with beadboard and i'm having a hard time choosing a paint color. You have a beautiful home Melaine. It looks cozy, warm and very comfortable. You have great taste. Love your daughter's room. I llove your home . . . beautuful! I liked the artist sketch too. 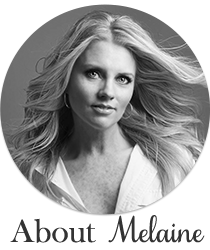 melaine, please tell us the gray paint color in your sons room and where is the sectional sofa from? it's all my favorite :) love, the bedding in your daughters room - can you just do a post and tell us where you got everything like all that bedding and the white chair beside her bed and oh yeah the sofa!!! I have always loved your home. So cozy! Can't wait to see what you do for the holidays. 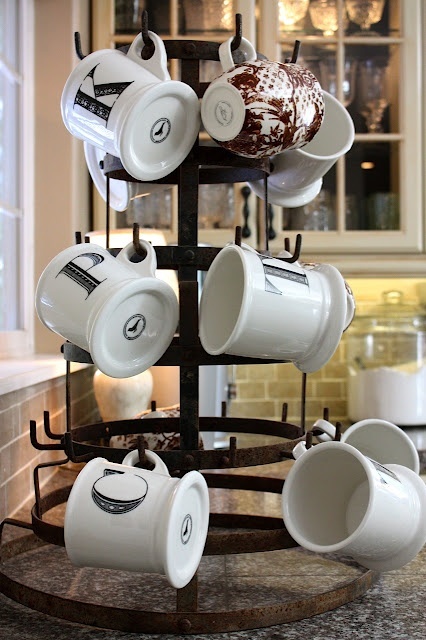 I really like the monogrammed coffee cups. Can you post where you got them? Melaine - Your home is so pretty. Love all of the rooms. Thanks for sharing with us. I can't wait to see pictures of your master! I am wanting to redo ours, and I desperately need inspiration. 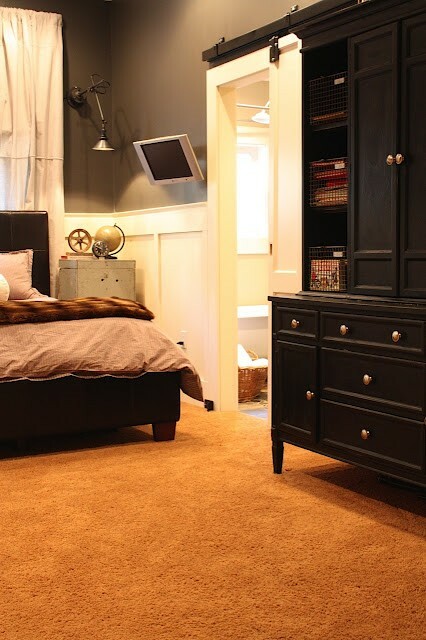 I love your bedroom aesthetic of using a darker color on the walls with light and airy accessories and linens. Absolutely LOVE your house, one of my all time favorites! Can't wait to see more! 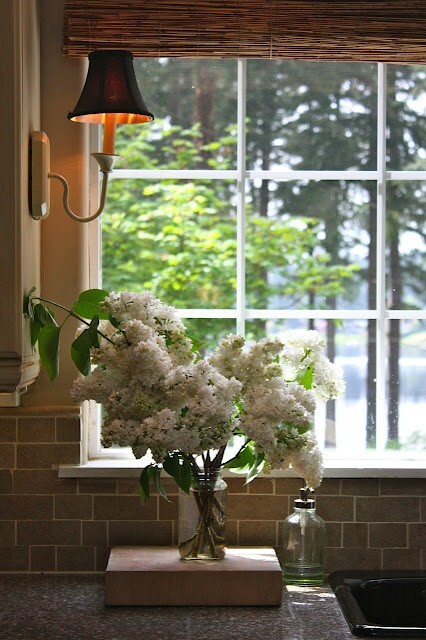 every sweet spot a visual retreat! What a delightful home!Thank you for sharing! Very pretty! 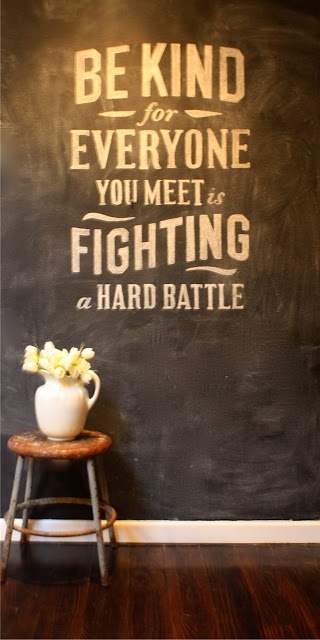 Love the quote on your chalkboard wall. I also like the deep chocolate in your daughter's bedroom with the white! Your house is very inspiring. Your home is absolutely stunning. STUNNING!!! Off to add it to my Pinterest boards now! perfecto! every single photograph is amazing! May I please have your daughter's bedroom?? for my very ownself?? LOVE seeing everything all together! So gorgeous! You have such gorgeous style. 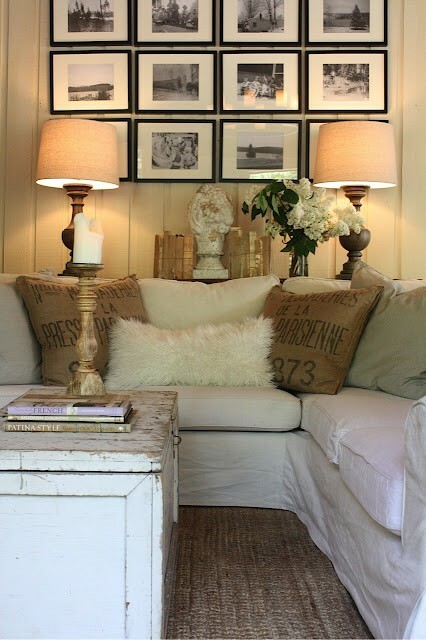 The theme and the neutrals blend so beautifully all throughout. Talented and gifted indeed, young lady! One Q: How can you have boys and keep that sofa while and "unspoiled"? Your home is beautiful! I was wondering where you found that awesome wine bottle dryer. I have seen larger ones at flea markets but would loved to fin one the same size of yours...any tips would be greatly appreciated! 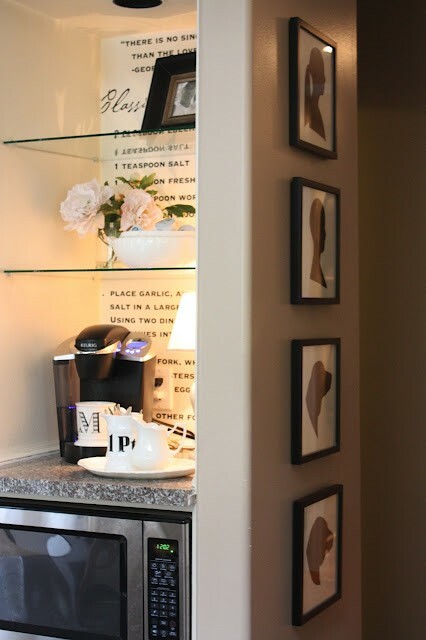 I've followed your blog for a while now but with this home tour not showing a laundry room or Savannah's bathroom (you showed your son's)...do you have an indoor laundry room or does Savannah have her own bathroom? Your home is beautiful! I am waiting for more photos. LOVE it all. Looks like a warm and happy home. I love your home..It is beautiful, comfy and so well thought out. Amazing Job. Well done. 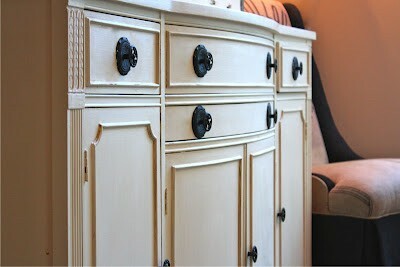 I love the black knobs on the off white dresser in your living room. Do you remember what they are called or where you got them? Love your home! 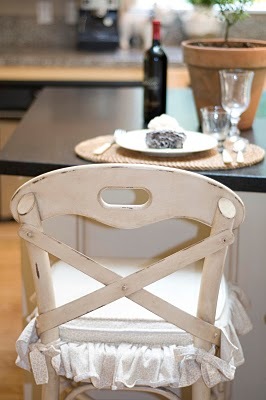 Where did you get your kitchen stools at? hi can by your blog via pinterest. Thought you might like a shop in the uk, kind of simlar style go to www.okadirect.com or google. Beautiful home! I came via Dear Lillie. 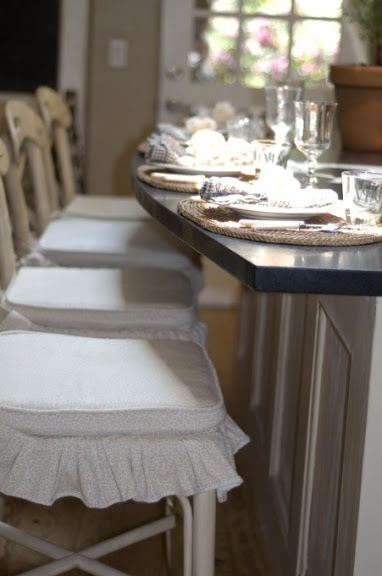 Love The ruffle cushions on your kitchen stools. So pretty:) Your kitchen is beautiful and your daughters room is a dream for any little girl. Beautiful home! Thanks for sharing. Love! oh i just love it! quick question - and i totally respect it if you cant share, but where did you get those roll up woven blinds in your boys room? they are great! Gorgeous! My kind of home. Can't wait to see more. Gorgeous home!! Your daughters room is dreamy!! and i love the boys bathroom! You did such a great job!! What color did you use in your sons room? Thank you!! Love it! Where did you get your dark bamboo blinds (above your kitchen sink)? Did you make the silouttes yourself? if not where did you get them? I love Savannah, and I love your house. Looks so relaxing! Beautiful! What kind of hardware is on the outside/top of the bamboo shade in your kitchen? I haven't seen that before. I am in love with your home, and I am wondering if you could tell me where you got the mirror in your son's bathroom. 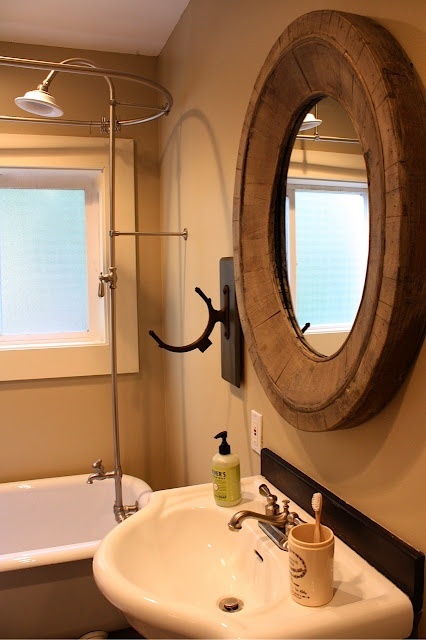 I am looking for that exact mirror for my bathroom - and I cannot find one like it! Please email me if you can! Hi! Your home is beautiful! 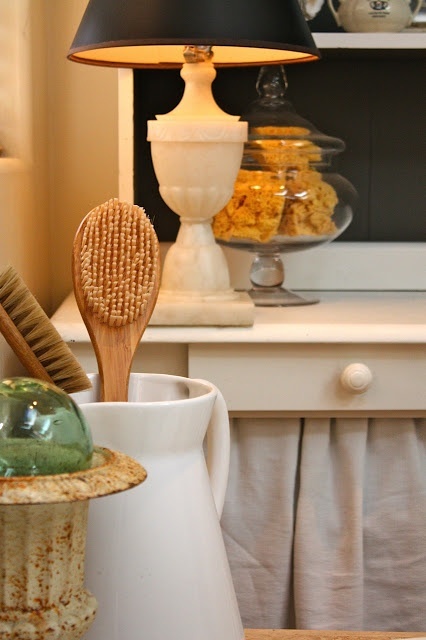 Where did you get your sponge vase filler for your bathroom? where did you buy the bedding for the girls room?? Hi Melaine, I just started blogging a few months ago and just came across yours. Your home is beautiful and I really like your voice. I'll be putting My Sweet Savannah on my daily reading list for sure! Your house is amazing!!! I wanted to know something though, did you make your daughter's white poms that are in her bedroom? I am thinking they would be amazing at my daughter's wedding!! I love the picture and house design! I love the tan colors that are in your house, mine are similar! I just got this home decor jar as an accent and i love it! I love your couch. I've been looking and looking and looking for something exactly like that and can't seem to find anything. Do you mind sharing where u purchased yours? Dont you have a paper mache animal had on the wall? Can you post it? Mel, I just love your home! Hi Melanie. I LOVE your daughter's room. It is BEAUTIFUL. God bless you and thanks for sharing. 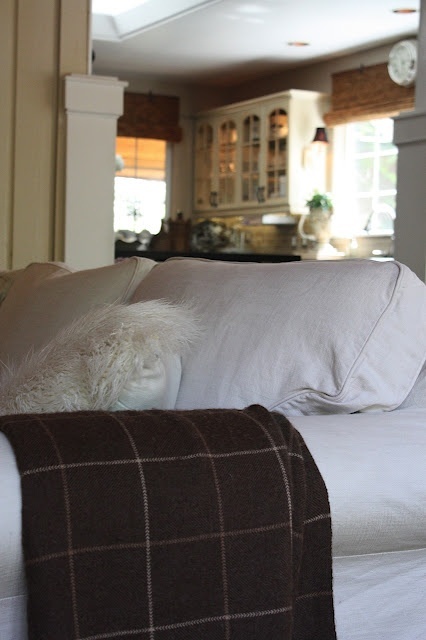 Your home is warm and cozy and it looks wonderful. Love love love your home! Decor is just beautiful! 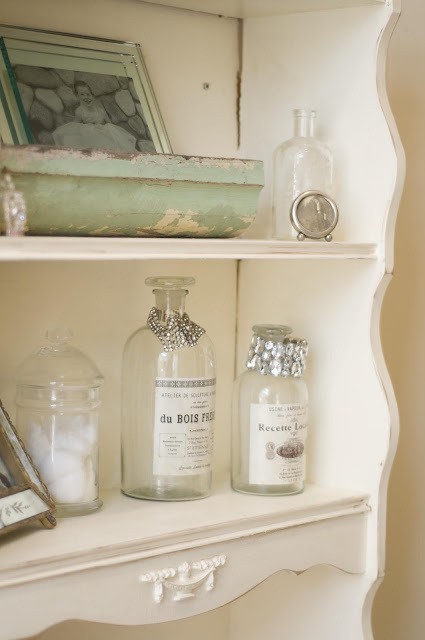 Love all the whites and creams and touches of rustic wood--very pretty! Your home is beautiful. I love your style. Can you share the brand of your sofa? Are you happy with it? Love your home and your bog. I'm not sure if you are able to reply to comments but maybe someone reading can help. I love the shade you have over the kitchen sink window. It almost looks more like twigs than the usual bamboo. 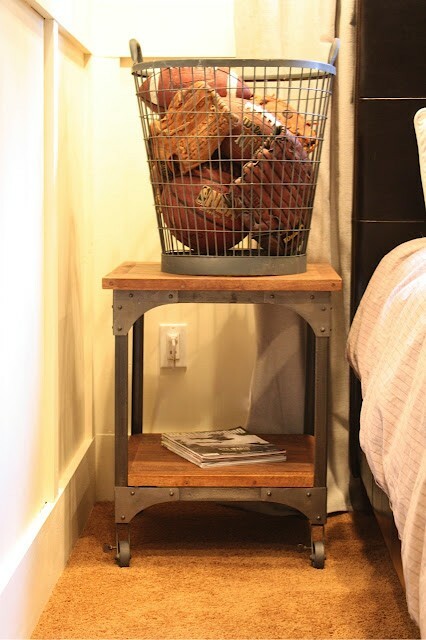 I would like to find something like that, any thoughts? Oh, what an inspiration and creativity! Adorable home! Your house is gorgeous,I love it! I follow you! Congratulations! Lindo demais! So amazing and beautiful! You have decorated all of your rooms so BEAUTIFULLY! You have such a cute homee!! A sua casa é lindissima! Parabéns! I absolutely LOVE your daughter's room:) when we get the heck out of Army housing, I will be copying it:) imitation is the truest form of flattery;) again, just LOVELY!!! Hi Melaine! Would you please share your source for the wall lamps in your son's bedroom? Do they swivel from side to side? Thanks! Love the shades you're using in the boys room window! Great use of color and texture, too! Inspirational! Love the calming design, yet still colorful and electic. Thanks for sharing! I'm going to be painting my living room and one wall I'll paint a darker color. What is a good white that isn't yellow tone? very Great post.. thanks for sharing bro.. keep up the very good work. I have read your post. Furniture is very essential part to decorate our home. 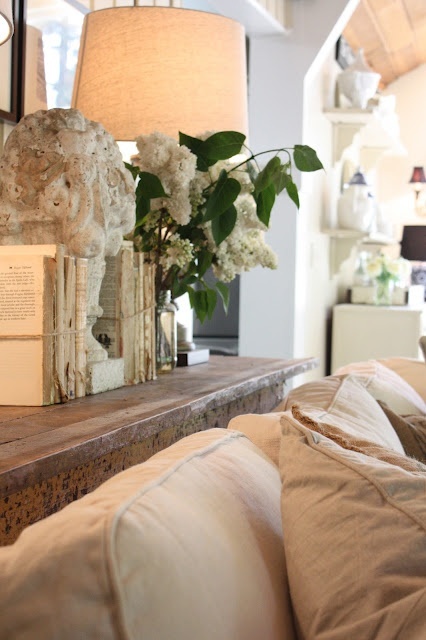 The total beauty of a home depends on how you have furnished it. In this case a recliner can help you a lot to increase the beauty of your room. To furnish a room with the best recliner for small spaces, you can buy a rocker chair. “Bệ hạ, chuyện này ta vẫn không rõ, vì sao trong khoảng thời gian này người lại quyết định động binh, chẳng lẽ người lại có ý nghĩ đặc biệt gì?” Bóng đen không hiểu được, liền hỏi. “Không dám” Bóng đen lạnh nhạt nói: “Ta tự nhiên sẽ không hoài nghi sư huynh. Sư huynh trước khi chết đã truyền tin cho ta, nói cho ta biết nguyên ủy mọi chuyện, ta đã đáp ứng di nguyện của hắn. Bất quá, ta hiểu được chuyện này nếu muốn tra xuất, sợ rằng sẽ liên quan đến một đại âm mưu. Bệ hạ hay là nên chuẩn bị tâm lý cho thật tốt đi”. Hoa Hạ đại đế tựa hồ có chút thống khổ, hơi nhắm mắt lại nói: “Tra ra sao, bất kể có âm mưu gì, bất kể gặp bao nhiêu thống khổ, đều phải tra cho ra. Bất kể như thế nào, Hoa Hạ hoàng tộc tuyệt đối không thể rơi vào tay người ngoài. “Bệ hạ, có chuyện ta phải thỉnh giáo người một chút, vậy chúng ta có nên mời Lưu Phong gia nhập hay không, sư huynh khi còn sống đối với người này rất tin tưởng. Gần đây ta cũng từng quan sát qua người này, quả thật là thiên tài khó tìm, tâm tư kín đáo, suy nghĩ linh hoạt, tin rằng có hắn gia nhập, chuyện sẽ càng thêm thuận lợi”. Bóng đen đột nhiên đề nghị. Hoa hạ đại đế lắc đầu “Chuyện này trước tiên không nên đề cập đến, chỉ ngươi và ta hai người biết là được. Về phần Lưu Phong, tối thiểu phải chờ hắn xử lý xong hết chuyện của Hộ Bộ. Lúc đấy trẫm mới tin tưởng được, rồi mới tính tiếp. I am trying to figure out how to hang a french provincial top hutch. I see that you have one hanging in your master bath. Can you tell me how you mounted it to the wall? The back of the hutch is particle board. It is heavy and will be holding books. Any hints would be appreciated. Beautiful home! The drive up to your house reminds me a lot of my own. We have a tree-lined driveway up to our house! Your dining room chairs look a lot like my bar stools, which I got at Cost Plus World Market. Hey, did you used to post on Rate My Space? I think I remember you from there. Cheers! I really find some great and amazing information. You really did a great job. If someone want to learn more about Vitastik I think this is the right place for you! This is one such great article about tourism that I have not heared at all. Thanks for sharing this info here. Get the URL to update your teamdream league soccer 2018 kits and enjoy the game.